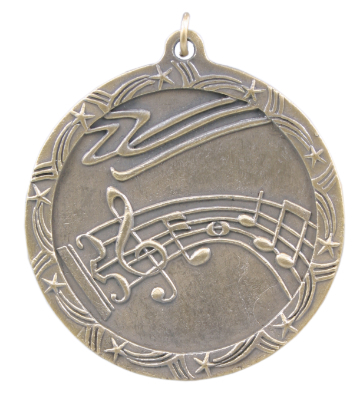 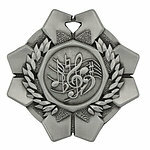 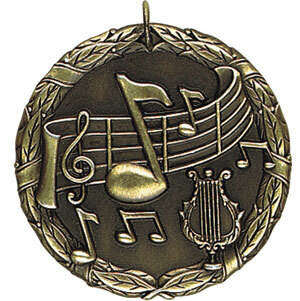 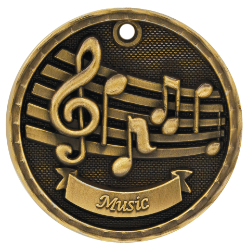 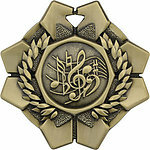 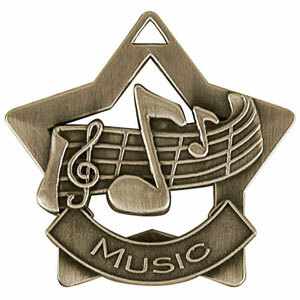 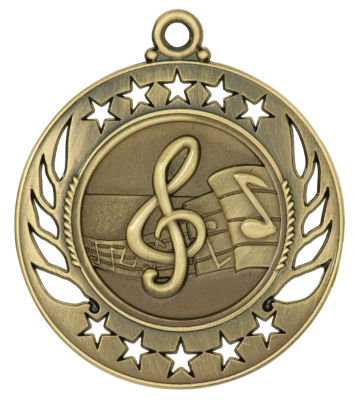 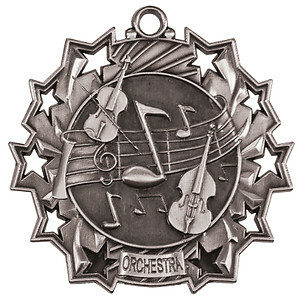 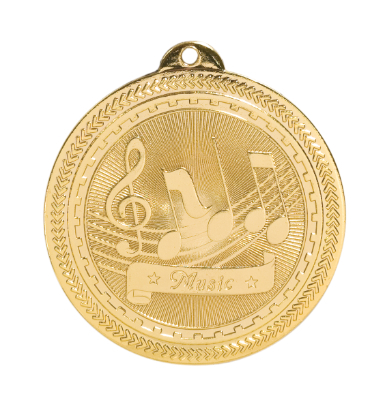 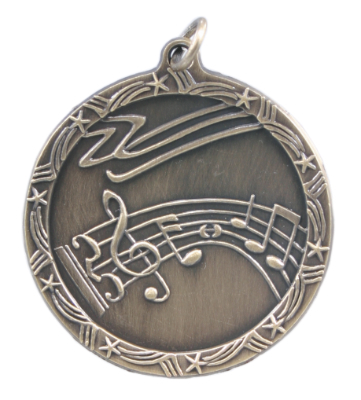 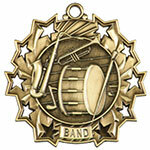 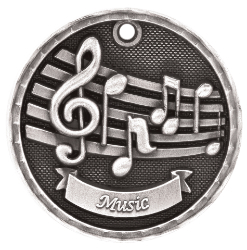 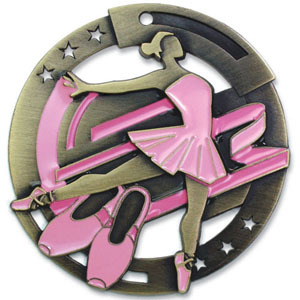 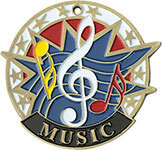 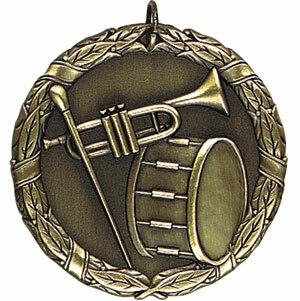 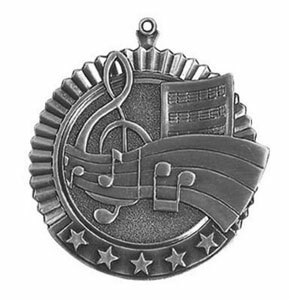 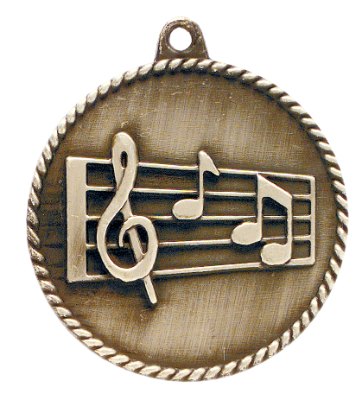 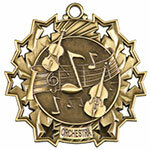 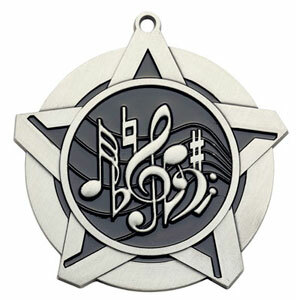 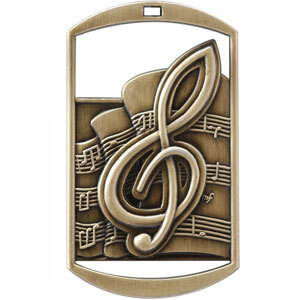 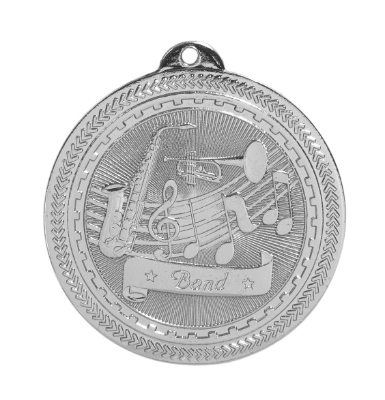 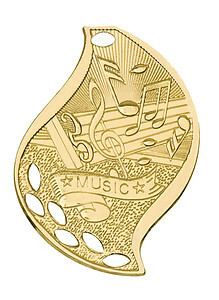 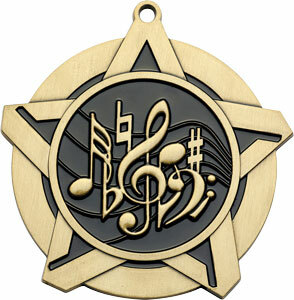 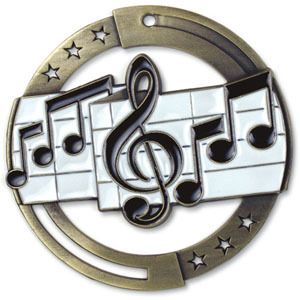 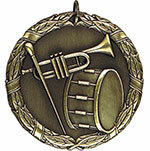 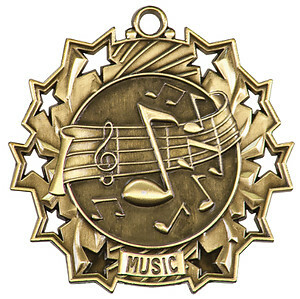 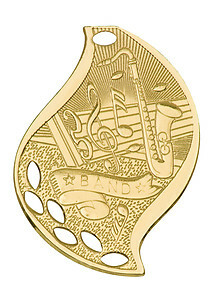 We have a nice selection of Music Medals or Band Medals, including 3D music note medals, dog tag medals, spinning music medals. 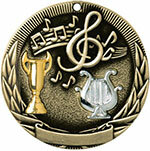 Most music and band medals can be engraved and we have a large selection of neck ribbon colors. 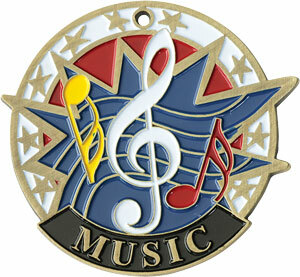 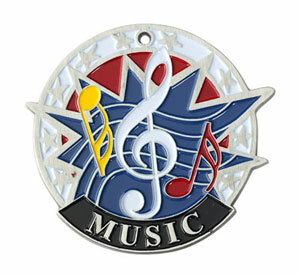 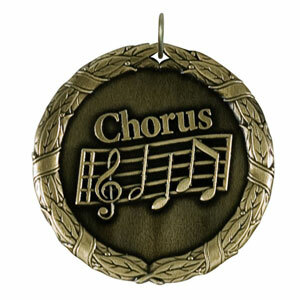 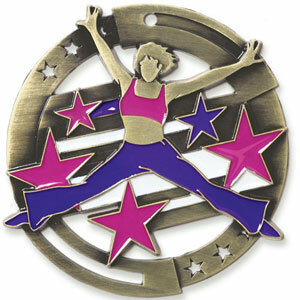 Music and Band Medals come with a 7/8" by 30" red,white and blue neck ribbon, but you may choose another color. 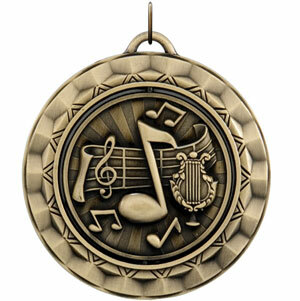 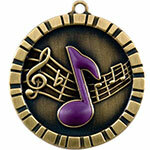 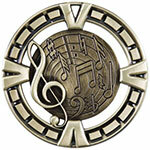 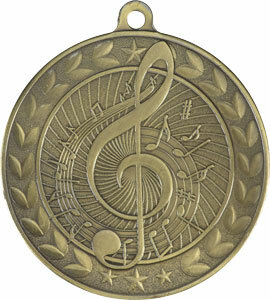 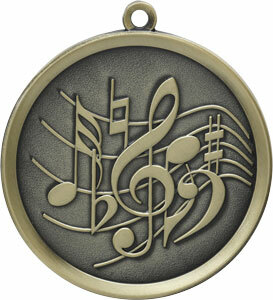 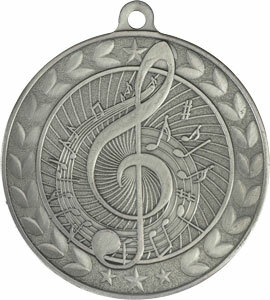 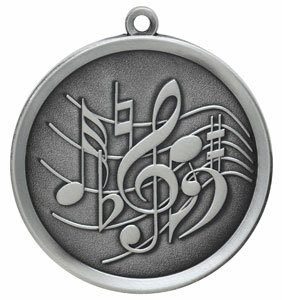 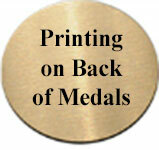 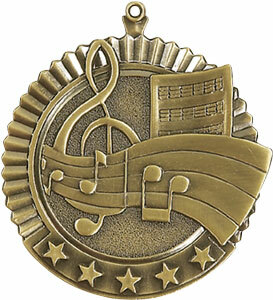 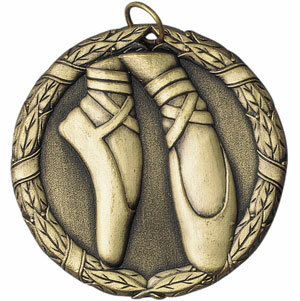 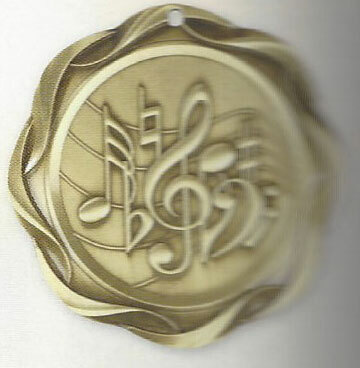 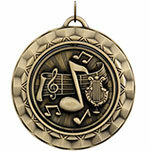 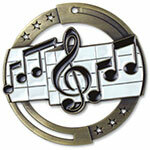 Most music medal orders are shipped in 5 to 7 working days if they require engraving. 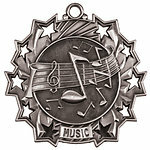 Please take a few minutes and visit our other music and band award pages.